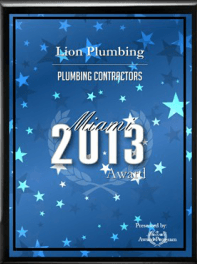 Here at Lion Plumbing, Inc, we pride ourselves on making sure that all of our customers are provided with optimal courtesy and professionalism, and that they are satisfied with the outcome of their service call. Our team of plumbers are not only skilled in their field of expertise, but in the art of providing excellent customer service as well. Our company offers benefits and paid holidays to all of our employees. If you feel that you possess these attributes and are interested in becoming part of our team, please feel free to download our job application. All applications must be filled out, scanned and sent to us via email. Upon submitting your application, please follow up with a phone call to our office, to ensure that it has been received. Once your application has been received, it will be reviewed by our management team. Should your work experience meet our needs, you will be contacted in order to schedule an interview. Thank you for your interest in working for Lion Plumbing, Inc.